1.) Zimmerman is "sorry for the loss of your son" (he addressed this to Martin's family). This "mistakes were made" formulation is a little weird, but I suppose it would be awkward for Zimmerman to say, "I am sorry I killed your son." 2.) Zimmerman "did not know how old he was. I thought he was a little bit younger than I am." This would appear to suggest that Zimmerman wouldn't have fired the gun had he known Martin was 17. 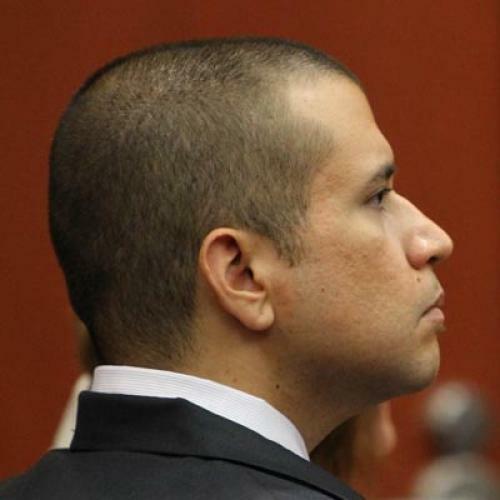 He fired the gun believing Martin was perhaps 25 or 26 (Zimmerman is 28.). The assumption, I guess, is that a 25 year-old is stronger or likelier to be carrying a gun or in some other way more potentially dangerous than a 17 year-old. There's no reason I'm aware of to believe that should be so. Zimmerman thereby confirms that he's a guy who leaps to conclusions. 3.) Zimmerman "did not know if he was armed or not." That's a damaging admission for Zimmerman to make unprompted. Zimmerman didn't say, "I thought he was armed." He said he didn't know. (Or rather: "did not" know. The absence of contractions throughout is, I guess, meant to convey the gravity of the situation.) Yet not knowing, Zimmerman fired the gun anyway. Even under Florida's stupid "stand your ground" law, I can't imagine citizens have license to shoot people merely on the off chance that they might possibly have guns. An attorney for the Martin family is reportedly "outraged" that Zimmerman was permitted to make these "self-serving" comments. But though Zimmerman's comments were clearly intended to be self-serving, it seems to me that they were more helpful to the prosecution.